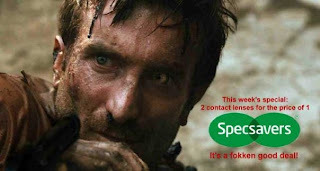 Seen District 9? Well you will get these photos, which I found on facebook. They make me smile every time I see them. I find this funny, mainly because it has the 'fokken good deal' bit in their. Fokken is the best word ever. This is a riff on 'Van Helsing'. I like it because it has the tagline "The one sweetie man they all fear". I can never look at the Sweetie man in the same way ever again. 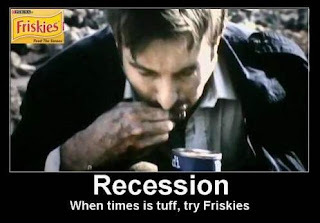 Probably one of my favourites, I mean, it is really funny! 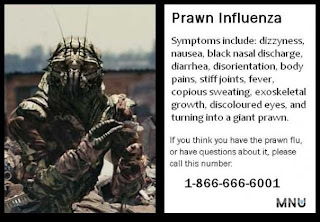 Read and absorb, you have to know what happens if you get 'prawn influenza'! 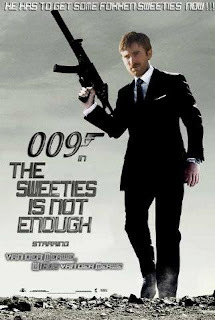 Really funny, the whole sweetie man thing is back. 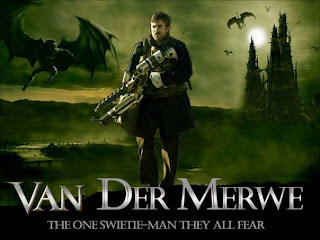 'Van der Merwe, Wikus van der Merwe'. I hope you found these as funny as I did! Nice post. I love movies very much and District 9 is my favorite movie for ever. 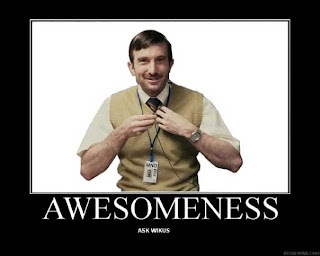 This movie is very interesting and full of fun.